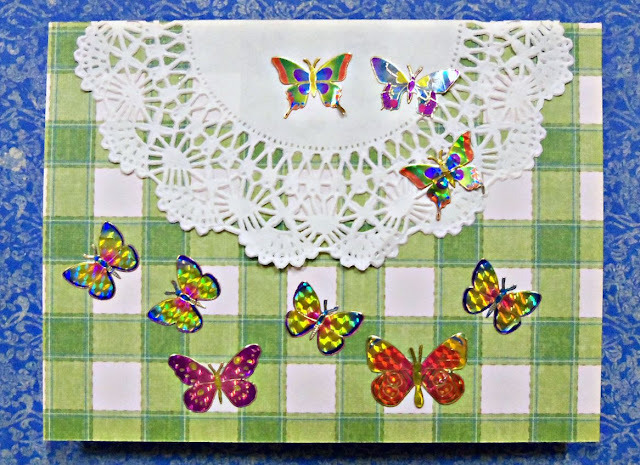 Oh, I just love this fun explosion of butterflies and Andrea's mommy is going to love it too! That double-stamped ghost effect that she got by moving the stamp was absolutely planned...I just know it! Some people pay good money to learn creative techniques like this...(smile)! So happy that you actually got some rain without lightening, which will help keep those wildfires in check. HA! She is into the same things I am!! Especially "willy-nilly" arrangements! This is soooo sweet!! And when they are that little they always have a backwards letter in their name. That is my favorite part of this card. She did a wonderful job!! Tell Andrea her card is fabulous! Love all the butterflies and the doily. I just showed this card to my own 5 year old and she oohed and aahed at how pretty it is! 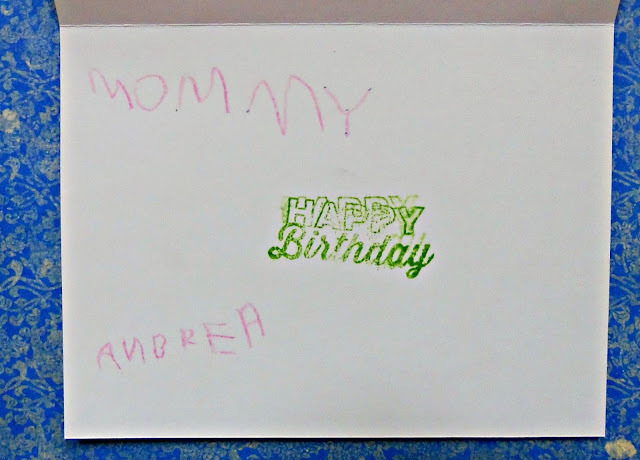 She also admired Andrea's handwriting, lol! Oh, and Remi says that the stamped sentiment isn't crooked, it's just "jumping". So glad that the fires skipped your town and that you are all safe.